Blue Ribbon is regarded as the premier late night dining experience in the country. The menu reflects the eclectic upbringing and taste of its chefs and owners, Bruce & Eric Bromberg. 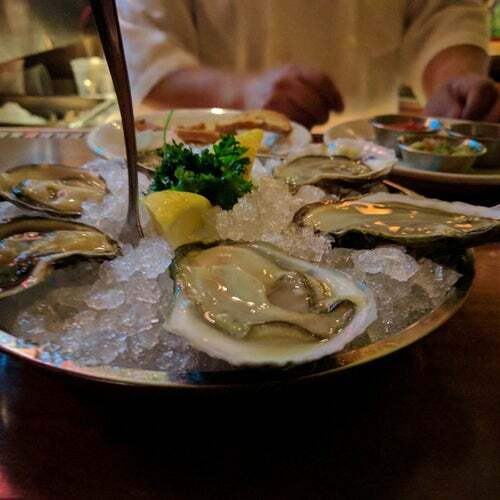 The menu includes everything from Paella to Fried Chicken, Rack of Lamb to Matzoh Ball Soup and a ground breaking Raw Bar that is considered the best in the city. The Cheese Fondue, Beef Marrow with Oxtail Marmalade and Pu-Pu Platter never disappoint.